The Jets vs. the Giants. Red states vs. blue states. Baby boomers vs. millennials. Our society tends to set up competitions in relation to most things. There are times, however, when the options on both sides of the ledger have merit. 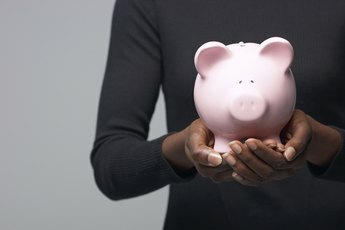 Savings accounts, for instance, earn very little interest but are perfectly safe since the Federal Deposit Insurance Company (FDIC) insures them. When you buy a stock, however, you are making an investment. If the stock earns money, you will likely make far more than you would have had you put the money in a savings account. Stocks sometimes lose value, however, and are not as safe. Savings accounts and stock investments are different, but both should play a role in your financial portfolio. Saving and investing are two different things. When you save, you tuck money into a bank account where you have no risk of losing it. The bank will pay you a bit of interest on the balance and you can easily access your money whenever you like. Little risk comes with little reward, however, and your money grows slowly in a savings account. When you invest money through buying stock, however, you automatically assume a level of risk. Generally, your goal is to achieve a high rate of return, but you must balance the desire to make money with your tolerance for losing it. Most investors, particularly those with quite a few years left before retirement, make buying stock a large part of their investment plans. Savings accounts and stock investments serve practical purposes. People tend to keep savings accounts to save for a big purchase or to keep an emergency fund. If you want to buy a large-screen TV, save for a down payment on a house or purchase a new horse for your ranch next year, a savings account probably makes sense. The same goes for an emergency fund, which is usually equal to three to six month's worth of expenses. For either of these purposes, the last thing you want is to lose money in a stock market downturn. If, however, you have several years before a big purchase or retirement, taking on some risk in the stock market makes sense. You can afford to suffer some temporary losses on paper to, hopefully, reap rewards as your stocks rise in value over the long term. Savings accounts are easy to manage at tax time. The interest you earn on your savings account is taxable. If you make more than $10 over the course of the year, the bank will send you a 1099-INT form to make reporting your interest easy. You should report all of your interest, however, even if it was less than $10. Stocks are not so straightforward. When you sell a stock, you incur either a capital gain or a loss. You must report all gains to the IRS, but you can use any losses to offset your capital gains and reduce your taxable income. Even if you don't sell a stock, it can trigger a taxable event. If a stock you own pays a dividend, it too is taxable. You must report, and pay taxes on, all dividend income you receive. Your brokerage firm sends you a 1099-DIV and 1099-B each year detailing your gains, losses and dividend payments. Knowing exactly how these numbers interact with each other and affect your taxes can get complicated, however. If you have enough cash, consider a money market account over a savings account. Though similar to savings accounts, money market accounts typically pay higher interest rates. In return, banks ask money market account holders to make a higher initial deposit to open the account. Tread carefully, however, as money market accounts differ from money market mutual funds. The FDIC insures the former, while the latter, although pretty conservative, can lose value. Know which type of account you want and make sure you get the correct one. 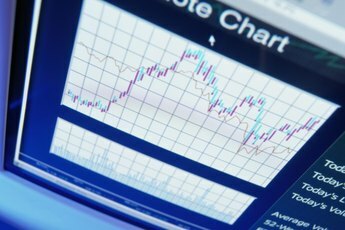 If you really want to invest but are skittish about choosing and purchasing stocks, consider a mutual fund. In a mutual fund, a pool of investors all contribute towards the purchase of stocks. In this arrangement, you assume indirect ownership of the stocks. A professional money manager oversees the fund, making the investment decisions for you and other mutual fund shareholders. Motley Fool: What Should I Invest In? CNN Money: Should I Invest My Emergency Savings in the Stock Market? How Do I Find out About Money Market Accounts? What Are the Advantages & Disadvantages of Investing $1000 in a Checking Account?